Splitting Saw – Creative Automation, Inc. 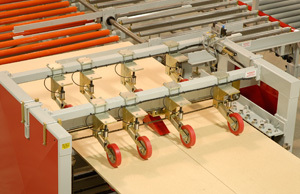 This custom designed Splitting Saw is part of a roll coating and splitting line. The saw sets up for width automatically with a servo. Splitting saw in action during testing.